So much is new for Meredith Miller: just married one week ago, different pre-cyclocross season preparation, and a new team in Noosa Pro Cyclocross. 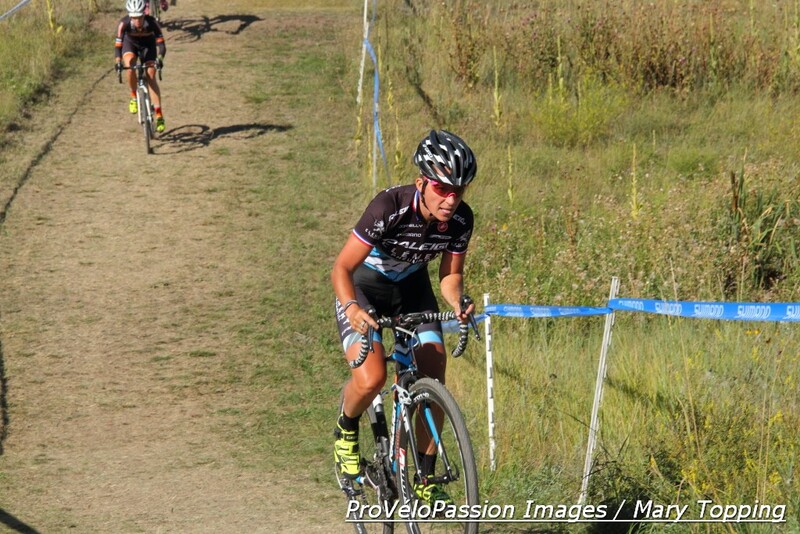 But the form and desire that delivered a hard-fought podium place at nationals last January hasn’t changed; on Sunday she brought Noosa its first win at KickIt Cross in Castle Rock, CO.
Foremost she intended to gauge the team’s new equipment performance as well as build a race partnership with mechanic Erik Maresjo who will look after her Focus Mares with Daimeon Shanks this season. 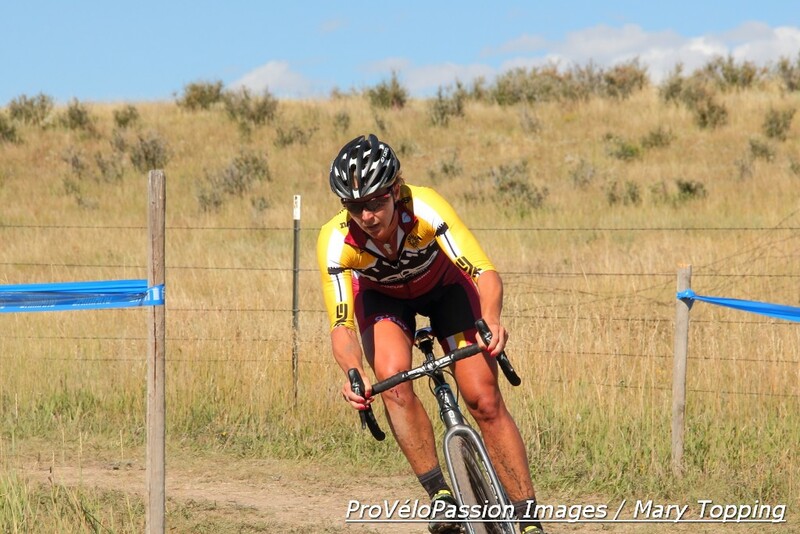 “In all the years I’ve been racing I’ve always been on Specialized for ‘cross. So it was a big switch for me. And so far I’ve absolutely loved being on the Focus.” KickIt was Miller’s third outing running SRAM’s CX-1 groupset. “I kept thinking as I was out there how smoothly it was working. It’s so quiet, no chain bouncing around. The bike, the MXP tires from Clement, CX-1, it was all really great.” CX-1 works with a single chain ring. Miller’s dominance in the women’s elite race provided a comfortable cushion for visiting the pit. Soon after the start the riders bumped off wide pavement onto a narrow section of turf. Miller led from the holeshot to the finish, nearly doubling the gap between her and second place Caroline Mani (Raleigh-Clement) with each of the four laps. 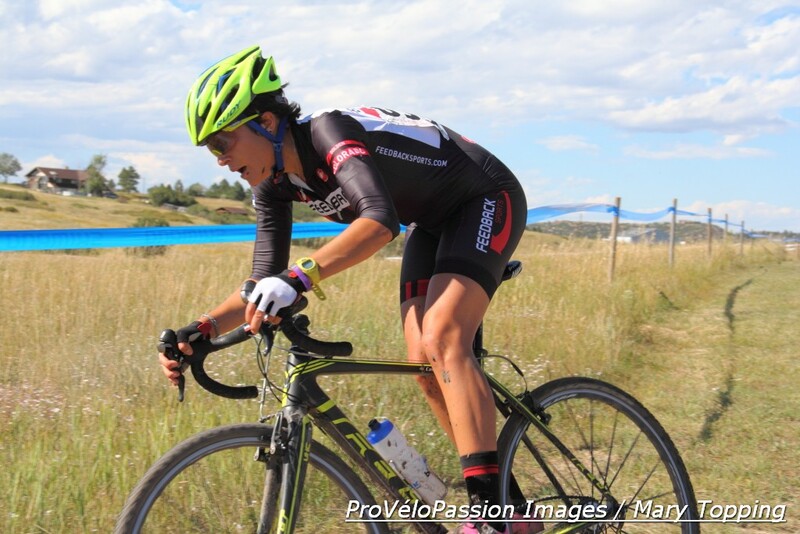 Boulder Cycle Sport’s Kristin Weber started fast as well. She rode third on course until Caitlyn Vestal (Feedback Sports) earned that spot during the second lap. Mani held steady in second through the finish, just over a minute behind Miller. Vestal came in 15 seconds later for third. Weber arrived next after about a minute thirty seconds, followed by Melissa Barker in a new team kit this year, Evol Racing, for fifth. Evol Racing’s Kate Powlison and Kristen Peterson, Lisa Hudson (Feedback Sports), Rebecca Blatt (Van Dessel), and Tracy Yates (Giant Southwest Racing) completed the top ten. This year Miller’s ‘cross season preparation diverged considerably from previous years’ models. After competition concluded last winter, she spent one month “pretty much completely off the bike. I don’t remember when I took a break that long,” she said. Over the spring and summer she celebrated turning 40 in 2013 by mixing it up with mountain bike competitions, long gravel excursions, and rides while acting as an ambassador for Rapha. 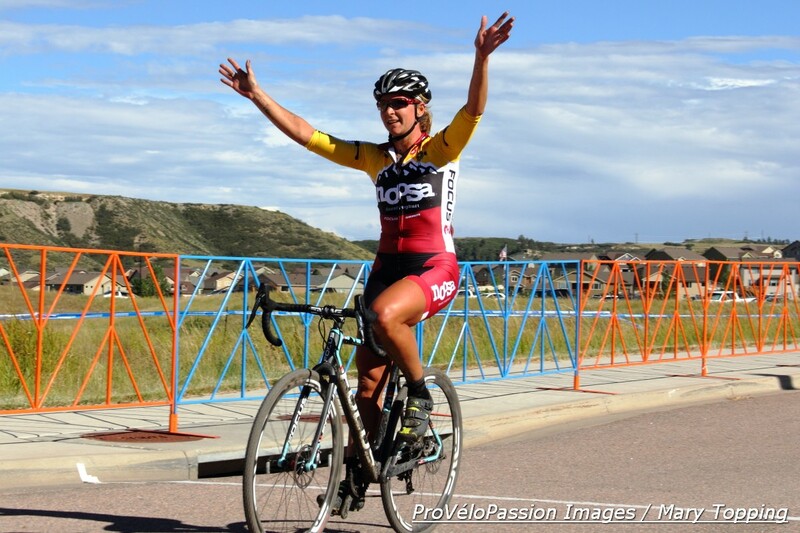 In August Miller tackled the Cedar City Grand Prix and Tour of Utah Women’s Edition road races. “From February to July I was just riding and having fun and not worrying about when I was on my bike and what I was doing that day. That was a really nice change and just a good kind of relaxing way to approach the season.” Toward late summer she reconnected with her coach, Neal Henderson, to begin a more structured program. Just before the race, she promised new teammate Allen Krughoff as much. Based on the outcome of KickIt, it looks like all systems go for Noosa at Cross Vegas this Wednesday. Miller noted that several women coming off mountain bike worlds who have just peaked should be there, like Katerina Nash, as well as ten-time national champion Katie Compton. “It’s going to be a really tough field this year,” she said. Then she began an I don’t really know kind of laugh and added, “I hate setting expectations for myself and then being disappointed if I don’t meet them.